By using the site, you are agreeing to the use of these cookies. If you have cookies disabled, some parts of the site may not work as expected. With professional Personal Training from £30 per session. A healthier workforce is a happier workforce. Hear what people have to say about Hoyles Fitness. Log in and use the member's area of HoylesFitness.com. Over 10 years' experience and research in wegiht loss, distilled into The Handy Plan from Hoyles Fitness. Articles specifically for people losing weight with The Handy Plan. Breakfast is almost always the most rushed meal of the day, especially in our household! As a personal trainer my day often starts before 6am, so breakfast has to be fast. 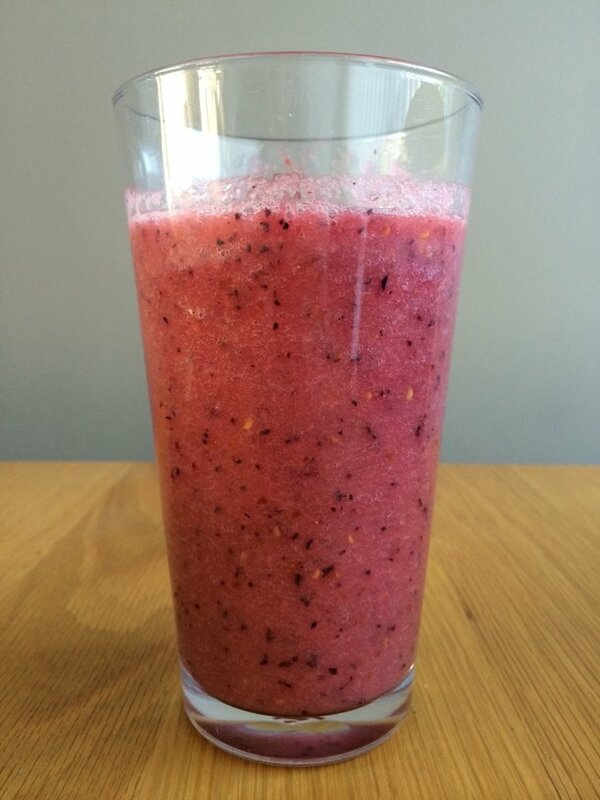 Today I had this – a quick and simple breakfast smoothie. Blast in the blender until you have to consistency you have. In one drink you have 4 portions of fruit, a cup of water and the whole thing can be made in less than 1 minute, with minimal washing up. No excuses for avoiding a healthy breakfast now, are there?! This is the blender I use – it’s been part of my kitchen arsenal for a couple of years now and I can’t fault it. I make soups, hummus, smoothies, purees, pesto etc and it copes with all of them easily. P.S. I’m giving away a FREE eBook ‘101 Health and Fitness Tips’ to everyone who subscribes to my VIP email list. By joining the list you’ll have access to exclusive content, discounts, offers and products from both me and selected partners. Click here to download! Fitness tips and tricks, delivered straight to your inbox. Sign up and get a free copy of Steve's 101 Health & Fitness Tips eBook. © 2019 Hoyles Fitness. Tel: 07866 361 964. Email: steve@hoylesfitness.com.